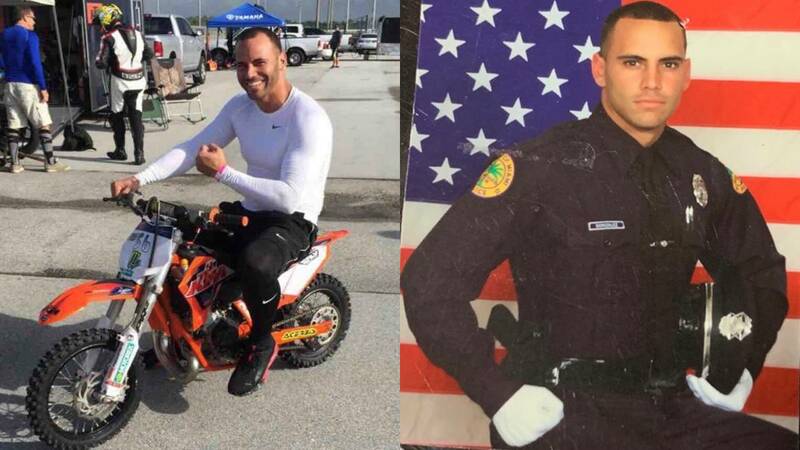 MIAMI - The Miami Police Department is hosting a blood drive Wednesday for one of its officers who was seriously injured in an off-duty motorcycle accident. Authorities identified the officer as Mario Gonzalez, who is a 12-year veteran of the police department and an avid motorcycle rider. The blood drive will be held from 8 a.m. to 6 p.m. in front of the Miami Police Department headquarters at 400 NW Second Ave. You can also donate blood up to 9 p.m. outside the Miami-Dade Police Department headquarters in Doral. Miami Mayor Francis Suarez was among those who turned up to donate blood Wednesday. "He's a family man, a great officer, great person," Suarez said of Gonzalez. According to the Florida Highway Patrol, the crash occurred around 10 a.m. Sunday on Southwest 8th Street, 13 miles west of Krome Avenue. Troopers said the collision involved a second motorcycle and a vehicle. "My heart dropped when I heard what happened," Miami police Officer Kenia Fallat said. "We rushed to the hospital and have been there round the clock." Authorities said both of Gonzalez's legs were amputated as a result of the crash. According to the Miami Police Department, Gonzalez remains in serious condition at Kendall Regional Medical Center's Trauma Center. Suarez said the officer has undergone multiple surgeries. A GoFundMe page has been created to help the father of two and his family during this difficult time.